But we do. Check them out. 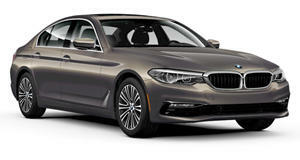 BMW has made no secret of plans to launch a reborn 8 Series and, not long afterwards, an M8. The stunning 8 Series concept was first shown last summer and it’s since made the auto show rounds. What will the production version look like? Well, a lot like the concept, which appears as if it’s around 90 percent ready to go, at least its exterior. 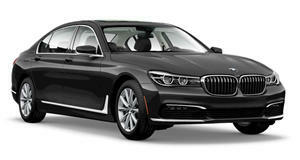 And now our friends over at have sent us these leaked photos of what appears to be the production-spec 8 Series. The two exterior shots reveal the front and rear ends while there’s a single image of the interior. Let’s start with the latter. Aside from the slick-looking steering wheel the concept was sporting, the production car’s center console looks very similar to what’s in the concept. There’s a large screen resting at the top of the dash with the familiar HVAC controls below. And yes, there’s a pair of cupholders. As for the final exterior design, it’s a damn near carbon copy of the concept, especially up front. The headlights, obviously are wider now and the must-have dual-kidney grille also appears to be a bit narrower. The side mirrors are clearly production-spec. Another noticeable difference are the front air intakes directly in front of the wheels. They’re less dramatic and smaller with a more typical BMW-style opening. Based on how far along the production version appears to be, we wouldn’t be surprised to see the . In the meantime, let us know what you think of these leaked images.